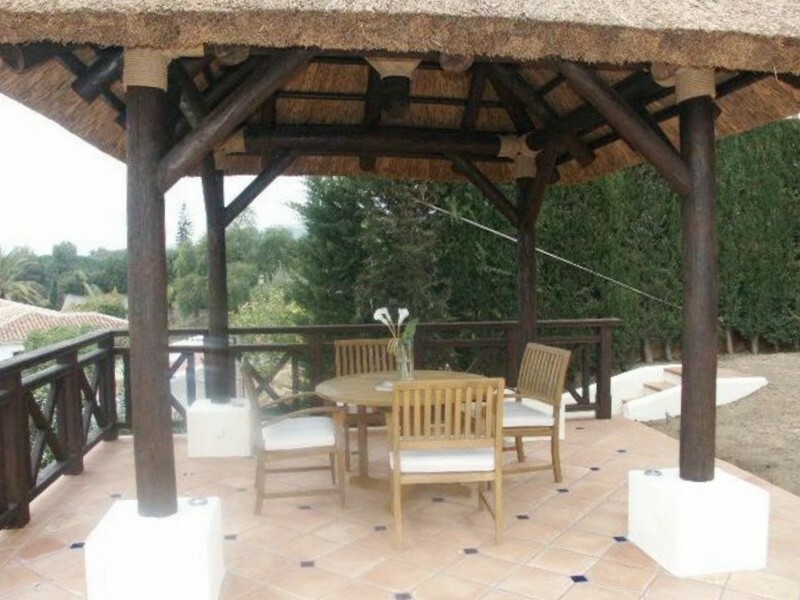 A beautiful Spanish style property with five bedrooms, four of them are en suite rooms, recently refurbished and completely refurnished. Re-built with top quality in 2003 over three levels, extensive sheltered terraces, entertaining areas and spectacular panoramic views over the mountain and the sea. 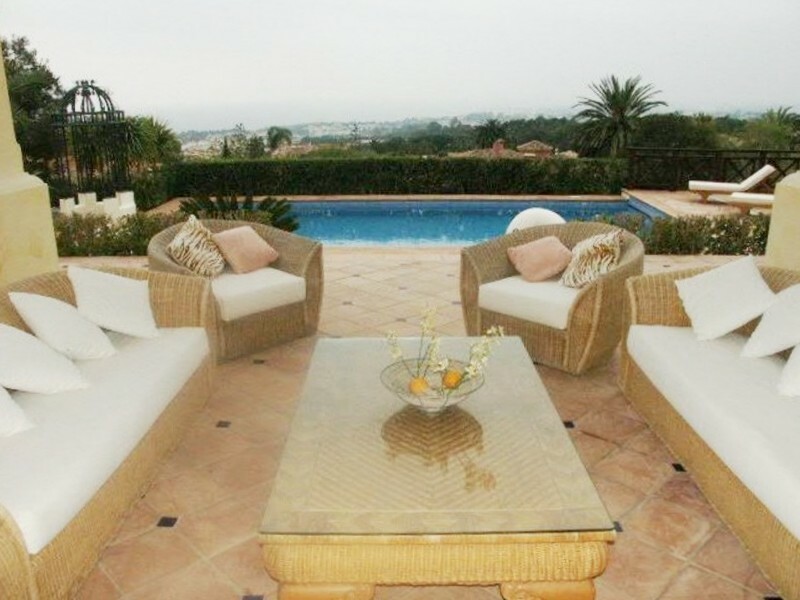 Situated near the east entrance of Sierra Blanca, a few minutes from Marbella & Puerto Banús in an area of exquisite natural beauty. Main level; entrance hall, living area with a fireplace, dining room,kitchen breakfast room, granite worktops and modern appliances, guest cloakroom, sheltered terrace,. First floor has master suite with his & her bathroom, luxury en-suite bathroom (bath with separate shower) and his & her dressing areas and private terrace with spectacular views. Lower level offers cinema room, wine cellar and laundry room. There is a private swimming pool, private garden and living area with a terrace. 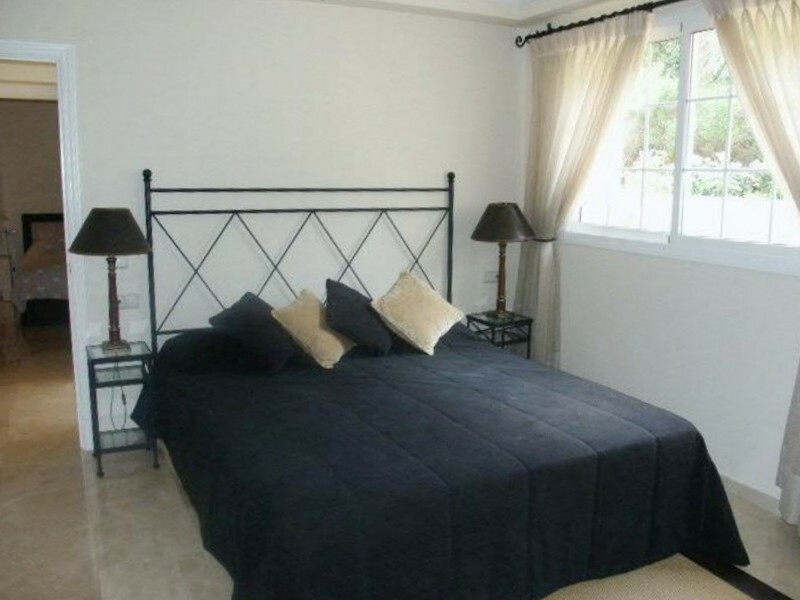 Marble floors, heating in the entire house, air conditioning, plasma TV,video porter and a lot of privacy. 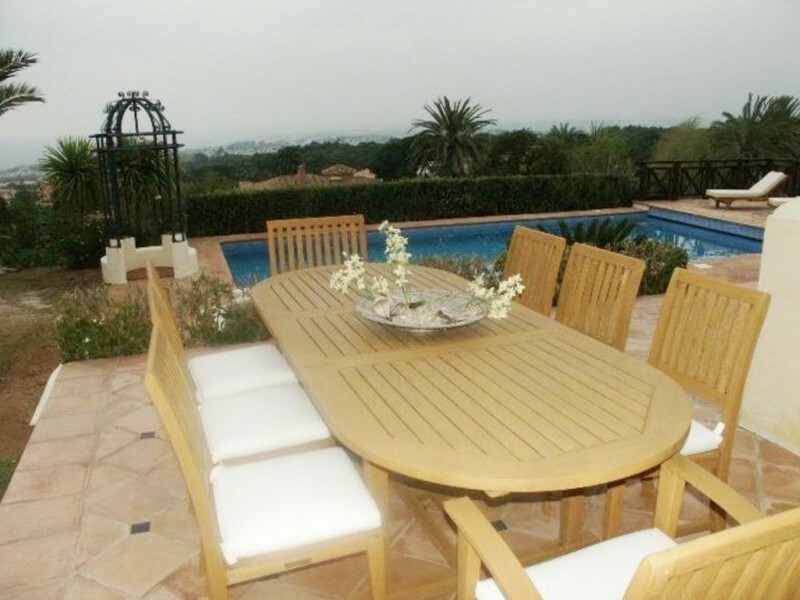 A spectacular villa in the famous area of Sierra Blanca with spectacular sea views.